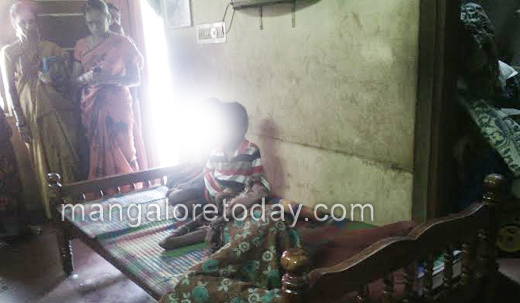 Mangaluru, May 20, 2015 : A team of officials of ChildLine and the Department of Women and Child Development has rescued a family of four which was in dire straits at Kalpane Kakkebettu in Shaktinagar here. If the couple in the house were ill and bed-ridden, their two little children were somehow managing to take care of their parents with great difficulty amid grinding poverty situation at home. 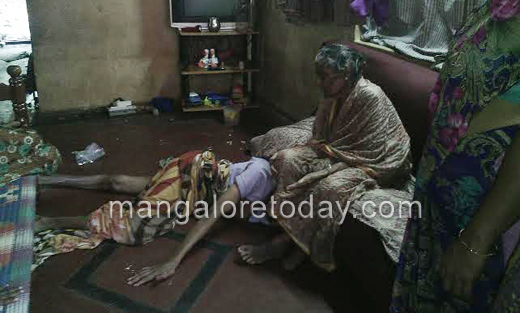 If the father of the kids Srinivas (38) has been ailing since some time following a stroke, the sole bread winner of the family, the mother of the kids Mallika was also bed-ridden since some time. 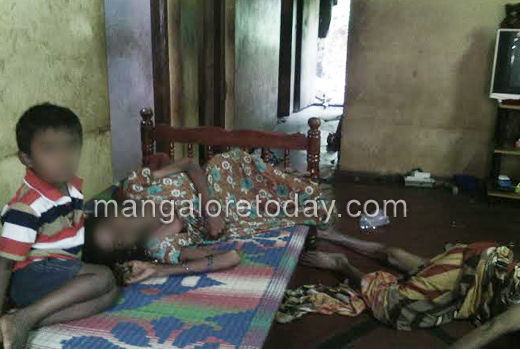 The couple’s two sons aged six and four were at a complete loss on seeing the plight of their parents. It is learnt, telephone calls to relatives seeking help proved futile. 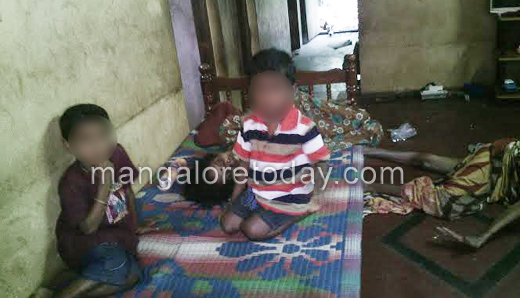 The children used to somehow fill their bellies by mixing protein powder provided to them at the Anganavadi, with water. 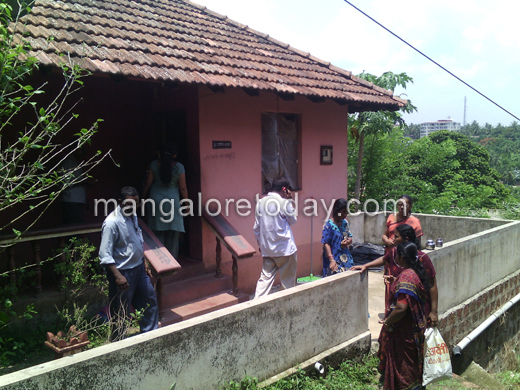 Locals who came to know about the dire straits of the family had informed the Women and Child Development Department and ChildLine following which officials including Child Development Project Officer Gulabi and ChildLine Co-ordinator Sampath Shetty rushed to the house when they saw the kids offering tender coconut to their mother. It was later learnt that they had plucked the tender coconut from the small coconut tree in front of their house. 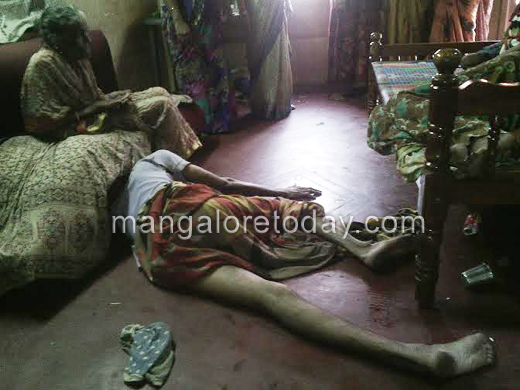 The father of the kids was seen lying on the floor where he had fallen from the bed even as his the hapless mother-in-law could do nothing but cry. Both the couple were immediately shifted to the Wenlock Hospital in an ambulance. The kids have been rehabilitated as per the orders of the CWC. 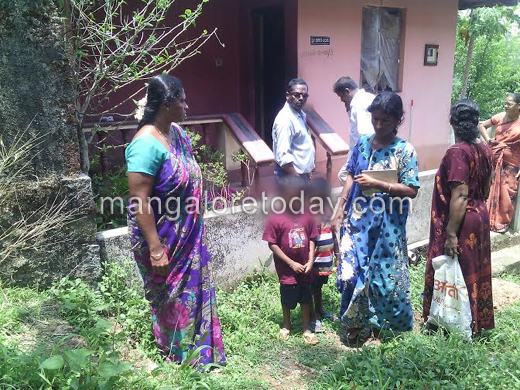 Local social workers, Nagaraj Shaktinagar of Nagarika Hitarakshana Vedike and members of Spandana Stree Shakti Sangha assisted in the rescue operations.